Happy almost Thanksgiving! We host Thanksgiving every year and I’m so excited to be hosting this year in my new dining room! We recently changed the decor from when we moved in 11 years ago and it made a huge difference to the entire look of the room. When you first move into your home, it is hard to get an idea of what is going to work for your lifestyle years down the road. After hosting many Thanksgiving dinners at our home, we realized that a long table just does not cut it for our family. Since we were doing construction on the rest of the house, we decided to re-decorate the dining room as well! To celebrate the end of our construction, we will be serving one of our favorite wines - Risata Moscato D’Asti at our Thanksgiving dinner. 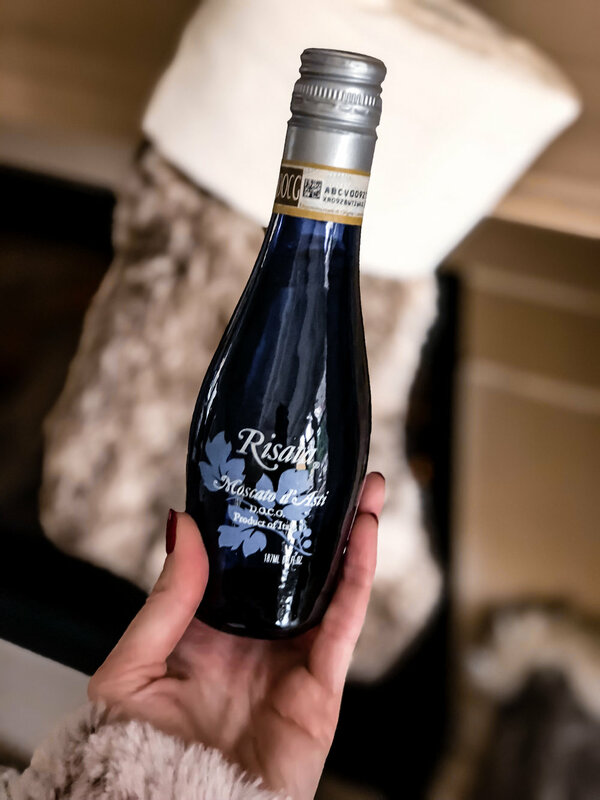 I first tried Risata wines at an InStyle event over the summer and instantly fell in love with all of the flavors they offered. I used to drink Moscato D’Asti all the time but started getting into drier wines as I got older. I was happy to re-discover Moscato D’Asti as it is quite delicious and refreshing! Given its sweet flavor and bubbly appearance, Moscato D’ Asti is the perfect wine for celebrations! Just in time for the holidays, Risata is introducing 187 mL mini bottles which happen to fit perfectly in a Christmas stocking! I love the idea of the mini bottle because sometimes you can’t finish a whole bottle of wine and then the remainder goes to waste. These mini bottles are the perfect size for a little refreshing treat! I’m looking forward to the upcoming cold nights sitting by the fire with my little Teddy enjoying a nice bottle of Risata wine. Hopefully my hubby can join too! Thank you Risata for sponsoring this post!